This is a perfect recipe for tea-time or after school. 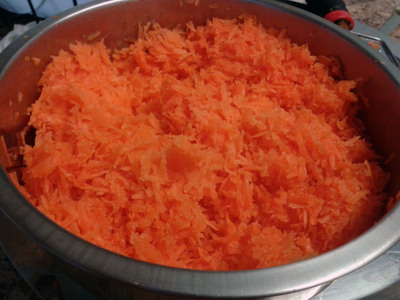 It doesn't have the raw taste of carrot. This halwa (sweet dessert) can also be served as a dessert. 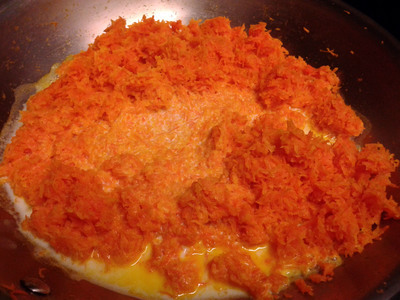 Grate the carrot using a grater. Heat a pan. Add 2 tbsp ghee into the pan. 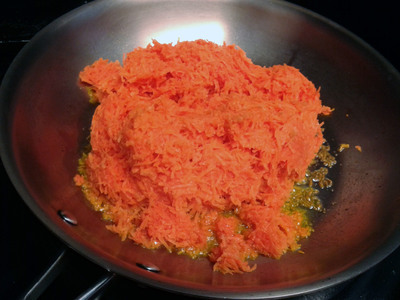 To this add grated carrot. Stir and mix well. Cook for 20 minutes in very low heat or until all the moisture is evaporated to avoid the raw taste. When all water content is evaporated, add milk, stir and mix well. Cook for 15 minutes in medium heat until all milk is absorbed and the mixture is dry. 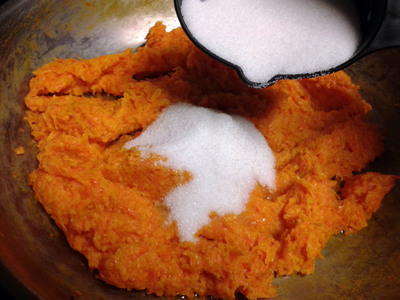 Then add sugar into this. The mixture will again become watery since the sugar melts. Cook this for 15 minutes in medium heat until the mixture is dry again. Remove from heat. 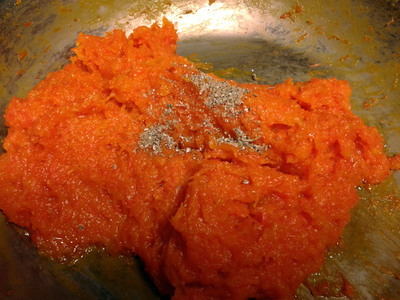 Add remaining ghee. Add cardamom powder and mix well. Garnish with nuts and serve hot.